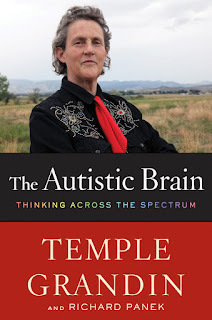 By Temple Grandin and Richard Panek. 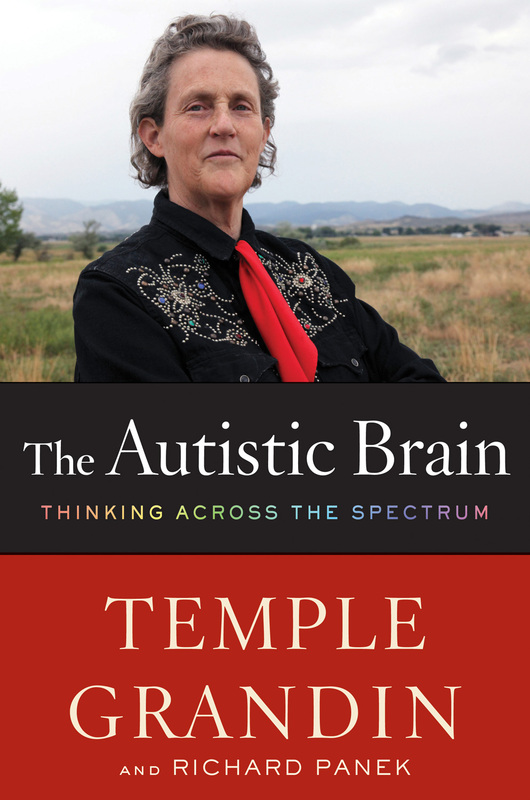 Adapted and excerpted from The Autistic Brain: Thinking Across the Spectrum in Wired magazine. Reading an interview with Steve Jobs, I came across this quote: “The thing I love about Pixar is that it’s exactly like the LaserWriter.” What? The most successful animation studio in recent memory is “exactly like” a piece of technology from 1985? He explained that when he saw the first page come out of Apple’s LaserWriter — the first laser printer ever — he thought, There’s awesome amounts of technology in this box. He knew what all the technology was, and he knew all the work that went into creating it, and he knew how innovative it was. But he also knew that the public wasn’t going to care about what was inside the box. Only the product was going to matter — the beautiful fonts that he made sure were part of the Apple aesthetic. This was the lesson he applied to Pixar: You can use all sorts of new computer software to create a new kind of animation, but the public isn’t going to care about anything except what’s on the screen. He was right, obviously. While he didn’t use the terms picture thinker and pattern thinker, that’s what he was talking about. In that moment in 1985, he realized that you needed pattern thinkers to engineer the miracles inside the box and picture thinkers to make what comes out of the box beautiful. I haven’t been able to look at an iPod or iPad or iPhone without thinking about that interview. I now understand that when Apple gets something wrong, it’s because they didn’t get the balance between the kinds of thinking right. The notorious antenna problem on the iPhone 4? Too much art, not enough engineering. Contrast this philosophy with Google’s; the minds behind Google, I guarantee you, were pattern thinkers. And to this day, Google products favor engineering over art. I’m certainly not the first person to notice that patterns are part of how humans think. Mathematicians, for instance, have studied the patterns in music for thousands of years. They have found that geometry can describe chords, rhythms, scales, octave shifts, and other musical features. In recent studies, researchers have discovered that if they map out the relationships between these features, the resulting diagrams assume Möbius strip-like shapes. The composers, of course, don’t think of their compositions in these terms. They’re not thinking about math. They’re thinking about music. But somehow, they are working their way toward a pattern that is mathematically sound, which is another way of saying that it’s universal. The math doesn’t even have to exist yet. The same is true in visual arts. Vincent van Gogh’s later paintings had all sorts of swirling, churning patterns in the sky — clouds and stars that he painted as if they were whirlpools of air and light. And, it turns out, that’s what they were! In 2006, physicists compared van Gogh’s patterns of turbulence with the mathematical formula for turbulence in liquids. The paintings date to the 1880s. The mathematical formula dates to the 1930s. Yet van Gogh’s turbulence in the sky provided an almost identical match for turbulence in liquid. Art sometimes precedes scientific analysis, and the relationship can go the other way too: Scientists can use art to understand math. Even the seemingly random splashes of paint that Jackson Pollock dripped onto his canvases show that he had an intuitive sense of patterns in nature. In the 1990s, an Australian physicist, Richard Taylor, found that the paintings followed the mathematics of fractal geometry — a series of identical patterns at different scales, like nesting Russian dolls. The paintings date from the 1940s and 1950s. Fractal geometry dates from the 1970s. That same physicist discovered that he could even tell the difference between a genuine Pollock and a forgery by examining the work for fractal patterns. “Art sometimes precedes scientific analysis,” one of the van Gogh researchers said. And the relationship between art and science can go the other way too: Scientists can use art to understand math. The physicist Richard Feynman revolutionized his field in the 1940s when he devised a simple way to diagram quantum effects. Equations that took months to calculate could suddenly be understood, through diagrams, in a matter of hours. And then there’s chess. There’s always chess. For a century now, chess has been the petri dish of choice for cognitive scientists. What makes a chess master a chess master? Definitely not words. But not pictures, either (which is what you might think). When a chess master looks at the board, she doesn’t see every game she’s ever played and then find the move that matches the move from a game she played three or five or twenty years earlier or from a nineteenth-century chess match that she’s studied closely. The stereotype of a chess grand master is someone who can think many moves ahead. And certainly, many chess players do strategize that way. But the grand masters retrieve from their memories not more possibilities but better possibilities because they are better at recognizing and retaining patterns or what cognitive scientists call chunks. What all these examples tell me is that in society, the three kinds of minds — visual, verbal, pattern thinkers — naturally complement one another. When I recall collaborations in which I’ve successfully participated, I can see how different kinds of thinkers worked together to create a product that was greater than the sum of its parts. Three kinds of minds — visual, verbal, pattern — naturally complement one another. Yet society puts them together without anybody thinking about it. Yet society puts them together without anybody thinking about it. But what if we did think about it? What if we recognized these categories consciously and tried to make the various pairings work to our advantage? What if each of us was able to say, Oh, here’s my strength, and here’s my weakness — what can I do for you, and what can you do for me? Let’s apply this same principle to the marketplace. If people can consciously recognize the strengths and weaknesses in their ways of thinking, they can then seek out the right kinds of minds for the right reasons. And if they do that, then they’re going to recognize that sometimes the right mind can belong only to an autistic brain. The “training” of the fictional character, however, would have had to somehow accommodate a brain that can’t process facial and gestural cues that most people easily assimilate and that finds its greatest fulfillment not in the fizzy buzz of forming a personal relationship but in the click-clack logic of writing code.